The 70’s are back! With big botanical prints, rich tones, block patterned rugs and wallpaper falling all over our interiors this season. There’s no escaping this Modern Retro trend. Now that the sun is setting earlier, and the nights are getting colder, this is the perfect time to warm up your home with some vibrant winter colour pallets and our Plantation Shutters as the fait accompli. By introducing some colour to your home, you can completely transform your space. A huge trend that is launching itself into our homes is large botanical prints. The best way you can incorporate this style is by creating a feature wall with striking wallpaper. Keep the rest of the room neutral and simple so the florals really pop and make a statement. Another way to incorporate florals is purchasing patterned furniture or even a rug. If you don’t want to paint a wall or put up wallpaper, you can add colour by adding a large print rug or a patterned throw and scatter cushions. Don’t be afraid to add more than one colour. 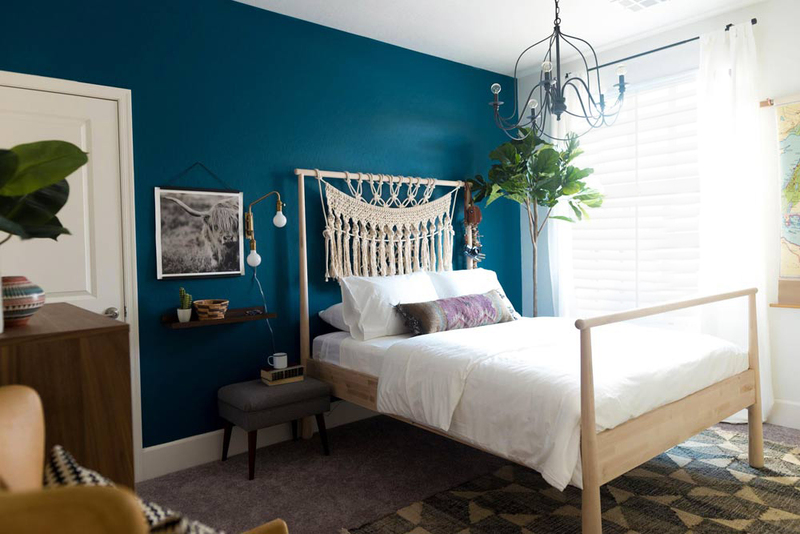 You can use a variety of tones, dramatic blue on the walls with dusty pinks and gold together to create a glamorous look or dark burgundy with dark brown almost black flooring with moss green accent pieces for that sophisticated retro look. For us here at Plantation, our shutters can be ordered in over 28 different colours and stains with a custom colour match option for the extra bold. It’s amazing what a change of colour can do it a room. Retro sofa designs are also making a comeback this year, as we are seeing more rounded sofas and chairs coming out among interior designers and major retailers. 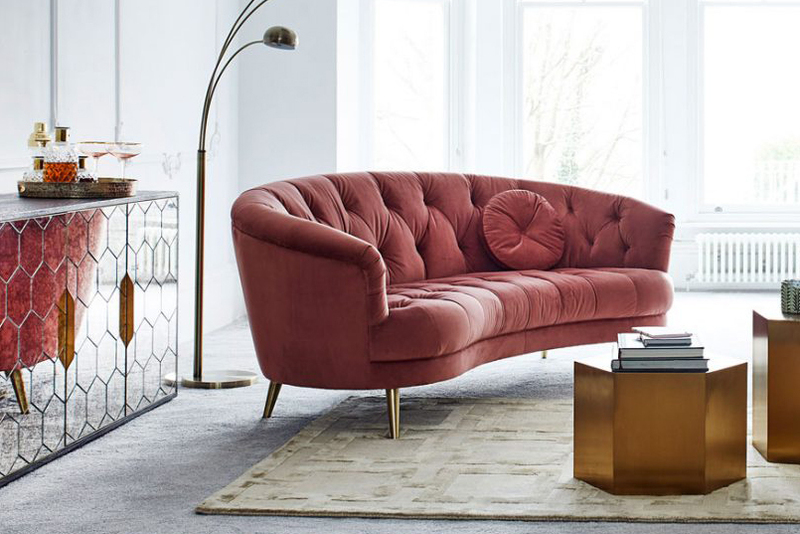 Think mid-century modern with elegant rounded curves and shapes, introduce a Chesterfield style sofa in a velvet texture, perhaps even a burst of vibrant colour to the furniture. Our shutters work perfectly as the backdrop to soft rounded furniture, creating a juxtaposition with the sharp angular lines. Create an idyllic living space with blushed pink furniture, exposed wooden flooring and full height white shutters. You can save 40%* of your heat that escapes through your windows with Plantation Shutters. They provide an added layer of insulation in helping to keep you and your family warm this season. As well as being very stylish, they are also very practical and can protect your new fashionable furniture from fading in the sun by blocking out the harsh sunrays. You can choose from our selection of styles and materials that can best suit your home and windows. Let us know what your favourites are and do have a look through our colour options to find that perfect tone just for you. If you’re set on one particular tone, then feel free to give us a call and we’ll talk you through our special custom colour match options. Here at Plantation Shutters, we are still the best at saving you that precious space around your home and adding to your interior style, get in touch today. Browse our many options or style in our shutter gallery, or call us on 020 8871 9222 or email one of a friendly team today.